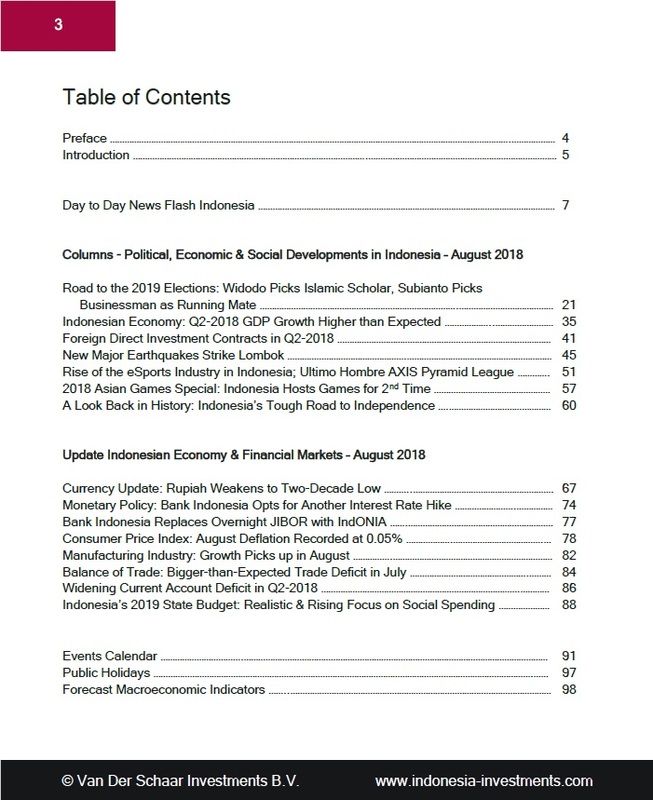 Besides updates on various topics - including Indonesia's 2019 presidential election, monetary policy, the performance of the rupiah, the consumer price index, manufacturing activity, and the trade balance - the August edition also includes in-depth columns on the topic of foreign direct investment, economic growth, current account deficit, the proposed 2019 state budget, and more. To purchase the research report, please send an email to info@indonesia-investments.com or a WA text message to +62(0)8788.410.6944. Price: IDR 150,000 (or USD $10) per edition.